At SkinGym we are a little bit obsessed with Vitamin A as we have seen first-hand what amazing things it can do for the skin, hence why it is dubbed ‘the Holy Grail’ of skincare or ‘Oxygen for the skin’ and why we have chosen to work with the pioneers of Vitamin A based skincare, Environ. So why is it so amazing for the skin and is it going to do wonders for your skin? Vitamin A is the most researched skincare ingredient and has been around for years and years… Environ have been using it in their secret formulations for over 25 years. Did you know we actually all have Vitamin A in our skin cells but every day when we are exposed to the daily elements such as light, it is depleted so we have to replenish the stock levels if we want the skin to be Vitamin A rich and in turn healthy, youthful and beautiful. The Vitamin A that we use in Environ works so effectively to give you the results because it is able to be absorbed deeper into the skin and actually helps the skin develop and grow as a healthy skin. So if you are concerned with breakouts, pigmentation, ageing, scarring, oily skin, dry skin, eczema, dull skin to name but a few, Vitamin A is the Vitamin for you. It is for everyone!! Are all Vitamin A products the same? The main difference between Vitamin A products is how much Vitamin A is in the product and how deep it absorbs into the skin. I’m guessing you want beautiful skin – who doesn’t? So if this is the case you need a product with effective doses that gets right into the skin. Environ is so effective because it does both. 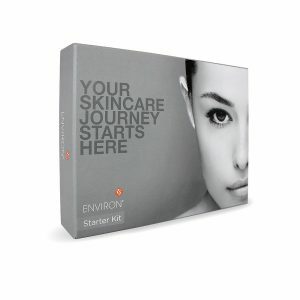 We use a step up system to give the skin super duper doses of Vitamin A, but without the itchiness that can be associated with Vitamin A, and the way it is formulated means it can get right into the skin cell and make physical changes… this really is the difference with high street Vitamin A creams and Environ and why you get such great results with Environ. Are you ready to start your Vitamin A skincare journey? If you are already using Environ a big high five to you. I’m sure you’re loving the results – your friends probably want to know your secret!! If you’re wanting to start your way to healthy skin then you need to start on AVST 1. 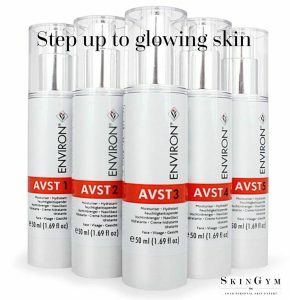 With Environ we have 5 levels of Vitamin A creams AVST 1-5. Everyone starts on level one (unless you have a super sensitive skin then you start on AVST Gel first, or if you have breakouts start on AVST Face and Body Oil) and as your skin acclimatises you work your way up the levels eventually getting to level 5 (it doesn’t stop there, you can progress further but let’s start with the basics first). Each time you step up you give the skin more Vitamin A and in turn see more changes in your skin. This is why it is dubbed ‘The Holy Grail of skincare’.